Can games make us better? Angry Birds is a phenomenon. It is widely accepted that this single game has been experienced more than any other form of entertainment in the past year — more than any film, television program, or book. Stand in any line and you will spot several ahead managing their queue anxiety with the help of a red bird and a few green pigs. The question is, are we better off? The rise of electronic gaming in the past couple of decades has gained reached a point where educators, political pundits and the media are taking notice and taking sides. Earlier this year, the Los Angles Times proclaimed, “video games deserve to be taken just as seriously as anything Hollywood puts out.” When you look at an opening day of $360 million in sales for the last release of “Call of Duty: Black Ops,” this is not a surprise. The debate about the long-term effect of games seems to be centered on the young. Steven Johnson in his Everything Bad Is Good for You, argues that games make kids smarter. Dr. Leonard Sax in his book Boys Adrift, argues the opposite. The jury is out. The game makers aren’t waiting. They are studying the analytics and pushing ahead. 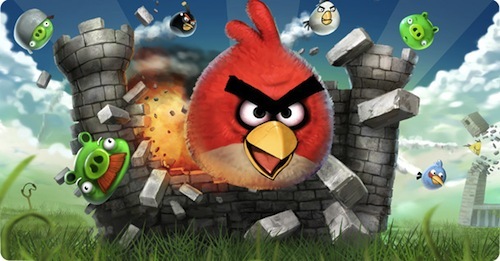 A recent study found male players of Angry Birds 35% more likely to convert from the free to the paid version. You can forget about getting females over 25 to convert. And it isn’t just the game makers. CNN reported earlier this week that Angry Birds was adapted for political satire in the recent Indian anti-corruption campaign. In the knock-off version, the birds were substituted with caricatures of anti-corruption activists and the pigs became the Indian politicians including the Indian Prime Minister, Manmohan Singh. We may be seeing an election version in our near future. Gaming is not going away. It is becoming a real part of the everyday experience landscape. In the almost 4 decades since Pong appeared, gaming has grown to become a given for anyone under 30. The debate will continue about if gaming can make us better … the debate is over about if gaming will last. Where do you stand on gaming?